I’m known to be a big fan of last.fm. Though I’m no subscriber I found a lot of new bands I did not know before. 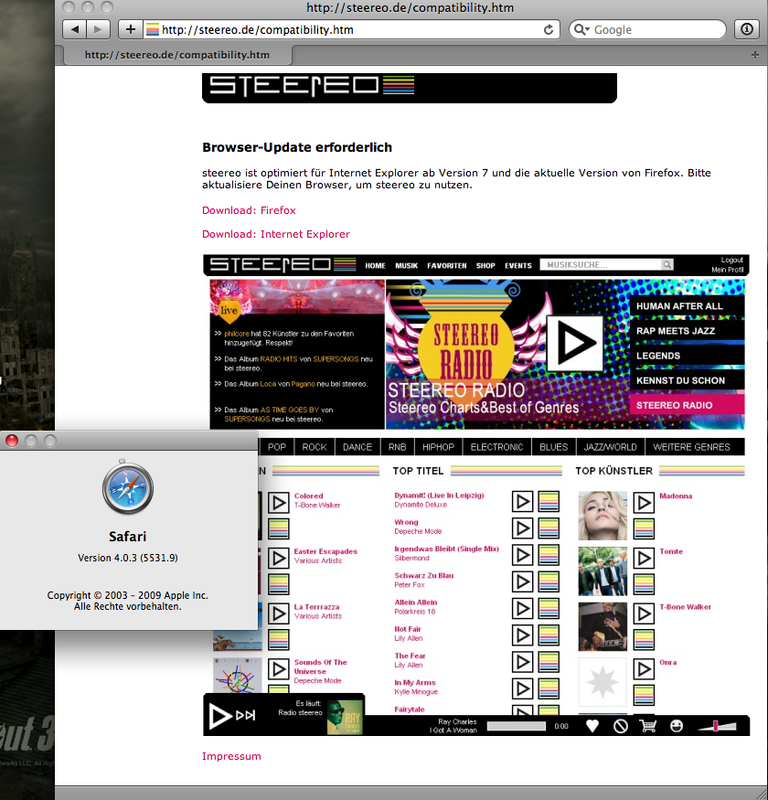 The more interested I was when I found out about steereo.de, a new and somewhat similar service comming from germany. They, integrated a nice player bar at the bottom of their page, and over all it’s a pretty funky page. Not, as tidy as last.fm, but it will work. As it seems, they just support recent versions IE + FF, but no Safari. I thought we’ve passed this to implement major browser-dependend tweaks in our pages. As it seems I was wrong.